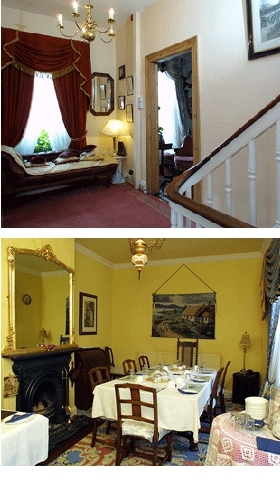 Enjoy a warm and friendly atmosphere at Kane's Bed and Breakfast, Athy, Co. Kildare. We offer pleasant surroundings with comfortable en suite bedrooms. Overnight rates from €35 to €45 per person sharing. Prices include full Irish or Continental Breakfast. All rooms are double glazed and located on the second floor ensuring peace and security. Access to the accommodation is through the seperate hall door with direct access to the street. Breakfast is served in the elegant surroundings of the dining room on the first floor of the B and B. A full Irish Breakfast is available, prepared with the freshest ingredients. Overnight rates from €35 to €45 per person sharing. Prices include full Irish or Continental Breakfast.